Celebrities and progressive lawmakers are going all out to save President Obama’s legacy of regulations on the internet. Instead of spreading misinformation and fanning hysteria, they could take a moment to understand what the Trump administration is trying to do. 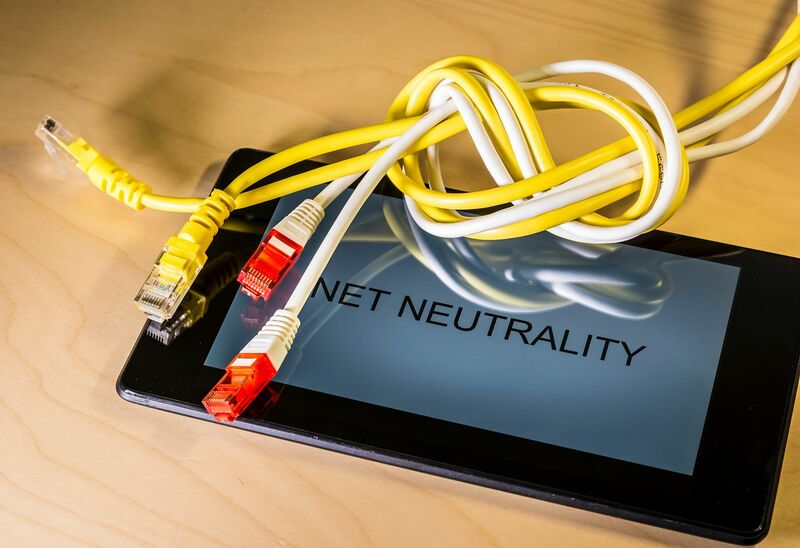 The Federal Communications Commission (FCC) will vote today to repeal the 2015 net neutrality rules that gave this agency the authority to tell internet providers how they must treat customers, such as their ability to charge for faster service. The FCC will instead return to the level of regulations that existed before the 2015 rules. Enter the parade of celebrities, lawmakers, and even tech companies who claimed that the repeal of net neutrality would spell the end of an open and free internet, as well as a threat to our democracy. Actor Mark Ruffalo: @MarkRuffalo: Dear @RepJohnFaso please don’t let the @FCC or @AjitPaiFCC kill #NETNEUTRALITY it will have a devastating effect in the already struggling rural parts of New York. The ability to easily and cheaply access information and markets is essential for our rural communities. Senator Chuck Schumer: @SenSchumer: Just like in the #GOPTaxScam & now on #NetNeutrality the Trump administration is picking CEOs over citizens, thwarting the desires of millions of Americans who sent comments to the @FCC asking that they #SaveNetNeutrality. Actress Alyssa Milano trolled FCC chairman Ajit Pai earlier this month asking him to comment on Russia sneaking comments to the FCC during the public commenting period. He corrected that record. Comedian John Oliver has been rallying viewers to fight this repeal for months now too. 2. The internet will be a wild west with no protection for consumers: False. The Federal Trade Commission (FTC) has had regulatory authority over internet companies and will have renewed authority to police unfair and anticompetitive practices. In fact, to-date the FCC has reportedly brought over 500 enforcement actions to protect consumers online, including actions against Internet service providers. In addition, the FTC can provide consumer compensation such as refunds from companies who violate federal law. 3. Small startups will be crushed: False. Facebook, Google, Twitter all began as startups before the 2015 rules. Were they stalled from growing and developing? This is an overblown fear meant to scare small businesses into supporting these rules. The idea of a free and open internet is something that everyone can agree with. However, the 2015 rules were an unnecessary power grab from the FTC, which was the federal cop already on the beat. The unintended consequence of these 2015 rules was to slow new services and choices for consumers, as well as to slow investment in broadband expansion and networks. The rules saddled small internet providers with added costs and made it difficult for them to expand networks and add new services and providers. They are pledging their support for the rollback of these regulations. Net neutrality rules forced federal regulators to take a heavy-handed approach to the internet when, up until 2015, Washington had only taken a light-touch. Today’s vote will be a welcome move to ensure that consumers and innovators--not Washington insiders-- will determine the future of the internet.